I have shared to you how to become millionaire through mutual funds, now I will be revealing the secret of building wealth which the rich are doing. 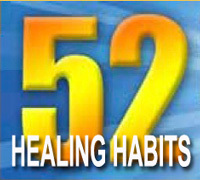 This secret is actually not a secret anymore, it is readily available to everyone. With the access of information readily available through the internet, it is just a click away. The question now, have you learned and applied this secret which the rich are doing? According to International Marketing Group (IMG), time and not timing is the better ally to help build wealth for the family. Building wealth requires a lot of discipline and time. There is no such thing as a get-rich quick scheme. 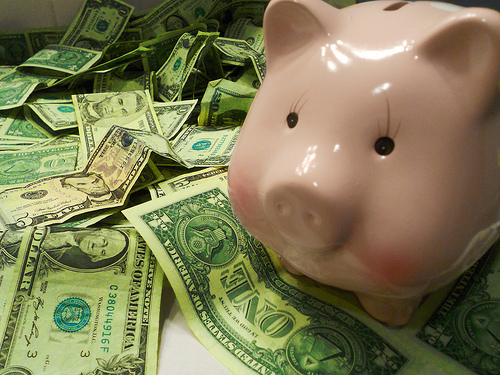 This secret of building wealth is called Money-Cost Averaging. This principle is done by just setting aside a small amount of your income on a regular basis in an investment vehicle. Together with the power of compounding of interest, they can give wonders to your hard-earned money. We will compare the savings of let say the two friends, Patty and Meggy. Patty and Meggy have Php 120,000 cash on their hands. They are about to save it in a mutual fund for a year from January to December and then withdraw it on the first day of the succeeding year. Patty decided to invest it one time on January while Meggy decided to invest it monthly at Php 10,000 per month for next 12 months. What will happen? The table below illustrates the comparison of their earnings after a year. You will notice that Meggy got a high rate of return for her money than Patty. The secret was that she invested every month versus investing the money one time. This proves that time not timing will make your wealth grow. Regardless of the volatility of the stock market which affects the Net Asset Value Per Share (NAVPS), your money will grow little by little when done consistently. What is the essence of the NAVPS? NAVPS will determine how much shares you can buy for the money that you will invest. You will notice in the illustration that Meggy still buy even if the NAVPS is high and she got more number of shares when the NAVPS is low. The lower the NAVPS, the higher shares you can buy. In the end, when they about to redeem their investment, Meggy have the courage to get it in a good rate of return. While Patty still need to analyze first if she will be redeeming her investment or not. Because if she bought her shares high and sold it low, then the money worked against her. 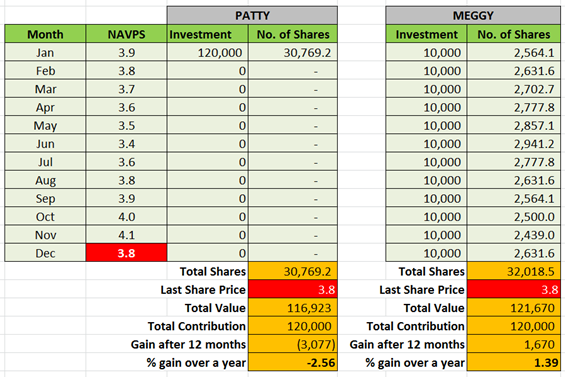 You will notice in this table that Patty bought the shares when the NAVPS is Php 3.9 and sold it at Php 3.8. Thus, it is apparent that Patty lose the interest rate of her money. Unlike Meggy, even if she sells her investment when the NAVPS is low, she still got a positive interest of her money. This is simply because of the power of the money cost averaging is in action. So even when an emergency happen to Meggy, she is confident that she can still get a good deal from her investment rather than waiting for the NAVPS to perform well again. If we maximize its potential, we will have no worries of growing our money and investing it in any investment vehicle. Through this, you will be building your wealth in no time and you will be confident that value of your hard-earned money will not lose as time goes by. Do you know other ways to build your wealth ? Share your thoughts and meet us in the comments. PS. We are giving free financial literacy training and coaching to our fellow Kabayans in the UAE and in the Philippines. Find out more here. Thanks Sir Magellan, hope to see you when I visit Manila. We regularly conduct Financial Literacy training in Makati as part of our advocacy to bring to as many Filipinos the secrets of the rich and how money works. It is fulfilling to network with like-minded individuals. Nice to know you Sir Magellan. My pleasure Sir Foncardas.. I’d be more than willing to share my ideas and knowledge on personal finance, investing, and entrepreneurship to my fellow Filipinos.. Let me know how I can be of assistance to your Financial Literacy training programs when you’re in Manila. Cheers and good fortune to you! Mr. Foncardas, this is a very interesting read. I am glad to see a fellow Filipino who has the same advocacy as I am. I believe that you are aware that there is no proper system to teach students (aside from those who took up business and financial courses) about personal finance and financial literacy. Lucky for me, I took Entrepreneurship in College and I learned all about personal finance, businesses, investing and the likes back then. The knowledge I developed when it comes to handling my money enlightened me about attaining financial freedom at an early age. While most people here prioritize getting new cars, houses, or whatever luxury they can buy with their paychecks, I invest in our local stock market and draft business plans. Now, I started a blog about my financial journey to retire from the rat race at the age of 25. I just started this week. I aim to inspire and tell my financial story not only to my fellow Filipinos but to all people who may feel tired of working from 8-5pm everyday and wait for their salaries every 15th and 30th of the month. Anyway, I’m looking forward to more of your posts on financial literacy. Kudos to you! Hi Sir Magellan, Thank you for visiting the site. It is encouraging that there are Filipinos like you that has that also has the passion to share their knowledge on the right financial education. Indeed, some knows how to account the company’s financial status but never accounted their own financial well-being. Some knows how to build houses but never own one. This is the time the Filipinos should take charge of their finances. I believe that the average person has the right to be wealthy too. What the rich are doing should be available to everybody. And I am thankful to learn someone like you spreading the same advocacy as ours. Nice blog you have there, just keep writing and reach out to others until all of us become financially free. Hope to meet and work with you someday in giving financial trainings to our Kabayans there in the Philippines. Thanks again. I’m looking forward to that day Mr. Foncardas. Part of my mission is to provide our fellow Filipinos with quality personal financial programs. With that in mind, to work with someone like you someday who has the same advocacy as I am would be splendid. For now, I’ll be carving my way to financial freedom on my given timeline. My success will be a testimony on how even young professionals can do it at a young age. Anyway, I’m looking forward to your next posts Mr. Foncardas. Regards to all our fellow Filipinos there in Abu Dhabi!